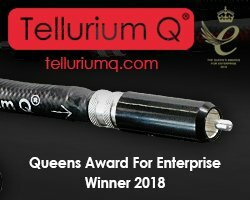 Black Rhodium is a long-established UK cable company, headed up by industry veteran, Graham Nalty. A wide range of prices allow an equally diverse choice of cable construction technology as well as component materials and quality. The upper echelons of the Black Rhodium cable range feature “deep cryogenically treated” (DCT) conductors and unusual conductor materials including silver (OK, that’s not so unusual) and palladium (which is not often encountered). Rhodium plating on the connectors is also used in the higher price bracket. This is the second appearance of Black Rhodium cables on Hifi Pig. First time round fellow Hifi Piglet, Jake, and I had rather different opinions of the goods on offer – Jake recommended the Twist speaker cables as being a good value in their lower price band, I was a bit more equivocal about the balance of virtues and vices on offer. This time, 4 types of Black Rhodium interconnect cables have been submitted for review, although 5 pairs of cables are actually covered. 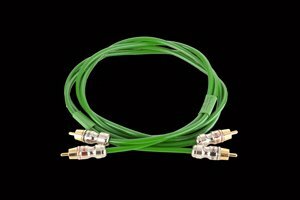 This is because 2 versions of the Symphony cable have been supplied – one with chrome-plated RCA plugs and one with Bullet plugs. Wow, fascinating! – I’ve not had the opportunity before to hear identical cables differently terminated. I couldn’t resist this and started out with auditioning of the 2 pairs of Symphony cables. As a matter of principal I usually do very little research about the items I review in advance of auditioning as I don’t want to be prejudicial about the technology or materials used, or even the price band of the item. In this case, my interest in the cable termination differences resulted in my starting at the more expensive end of the cables under review and working my way down the price hierarchy. All prices quoted in this review are for 1m pairs – although, helpfully, Black Rhodium say that they are happy to quote for custom lengths. Symphony (Pictured) is a twin core silver plated high purity copper cable using PTFE inner insulation and close braided silver plated screening. 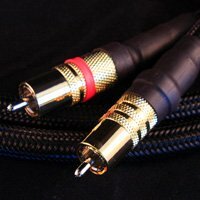 The standard Symphony cable uses Eichmann Bullet plugs, whereas the Symphony Chrome uses Black Rhodium’s own Chrome RCA plugs. XLR terminations can also be fitted, although they were not included in this review. I liked both versions of the cable a lot, but the different RCA plugs used most definitely gave a differently balanced presentation. I started the auditioning with Symphony Chrome playing a solo lute recording. The Symphony Chrome presented a quite distinctive sound; very precisely focussed and a little 2-dimensional in terms of image depth, this almost sounded like a mono recording. Some of the ambient cues of the Canadian church where the recording took place were subdued and the feeling of space correspondingly attenuated. 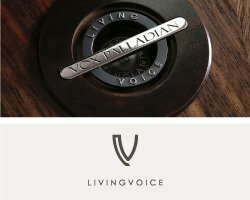 The other side of this coin is that the Symphony Chrome sounded dynamic and exciting with quite an upfront sound that captured my attention. A generous amount of musical detail was to be had, as well. Tonal resolution was very good, and vocalists and different instruments within a wind band, for example, were easily differentiated. Bass was very good with excellent weight and good slam. Moving on to the more expensive Symphony (with its Eichmann Bullet plugs) a rather different rendition of the music was portrayed. Ambient cues were more obvious and a superior feel of 3D image placement was to be had. Each instrument in a complex recording was to be heard, but forming a coherent musical whole. No doubt, though, that with the Symphony Chrome each musical voice was better resolved as an individual source of sound. With the Bullet-plugged Symphony I felt that there was a tad more bass weight but a little less impact and definition. It is my happy duty to report that there is nary a sign of treble harshness or grain with either cable, a nicely clean and believable sound. To make a wicked generalisation, perhaps the Symphony Chrome would work best for amplified music where the subtleties of imaging aren’t a high priority but the ability to convey the dynamic energy in a more wall-of-sound fashion is to be valued, and the Symphony with its Eichmann Bullet plugs are better for acoustic music; classical, jazz, folk etc. Both are good cables in their different ways, and good value, too. I enjoyed them a lot. 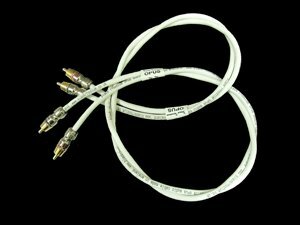 Prelude is a coaxial cable, constructed using silver plated copper, a braided screen, loss PTFE inner insulation and split-centre RCA phono plugs. Moving on from the Symphony cables to the cheaper Preludes, I found the Prelude to give a very well-balanced sound. 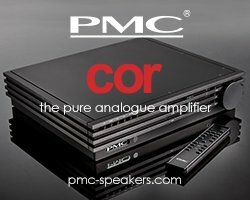 With some mid and lower price cables you hear some very strong pro’s & cons, and this can make their success very dependent on musical genre. Where the Symphony and Symphony Chrome cables would merit a solid “Very Good” I’d give the Prelude a “Good” rating, which is fine at the price. Nothing grates or annoys – no treble harshness or splash, grain is notable by its absence. Imaging is a bit less focussed than with the Symphonies, everything is portrayed with rather broader brushstrokes. If I were deliberately to look for peaks and troughs in the Prelude’s performance, I would pick out the bass end as particularly strong – tending to the “Very Good”, tonality and overall dynamics are Good, and the imaging lags a little behind, rather reducing the tangibility and presence of the sound, but not hugely so. Nothing is perfect, and if the overall balance of virtues suits your own preferences then the Prelude is definitely recommended at its price point. 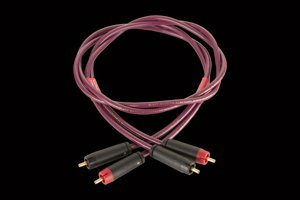 But if you can afford the step up to one of the Symphony cables, I’d say go for it! 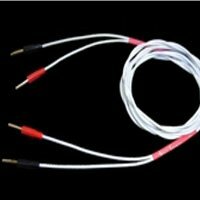 The Rhythm uses high purity silver plated copper conductors covered with low loss PTFE inner insulation and closely braided silver plated coaxial screen. Moving on from the Preludes to the lower price Rhythms cables, I got a big shock. I had expected a further general lowering of sound quality commensurate with the price difference, as I heard going from the Symphony to the Prelude. Wrong!! There was an immediately and startling increase in the presence and tangibility of the sound. Treble was purer and imaging better defined as well. Wow, I was impressed! No, OK, the imaging is not quite as good as the Bullet-plugged Symphony, but there was a real (and realistic) feeling of spaciousness that the Prelude cables miss out on. The Rhythms have better imaging than the Symphony Chrome, too. And no, the dynamic impact is not as strong as with the Symphony Chrome, but it’s not really trying for that. I’d say the Rhythm makes an excellent lower-price alternative to the standard Symphony cables. Bass was very good, with better depth, control and slam than the already fine Preludes. At its price, I think the Rhythm is a very special cable and I give it a very strong recommendation. The Opus uses silicone rubber insulation around tinned copper wire and is an unscreened, twisted cable. 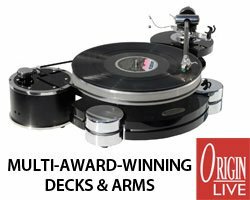 I didn’t know the price point of the Opus when I began auditioning it, but I quickly looked it up on the Black Rhodium website – if it wasn’t the lowest price of the bunch, then something is very awry with the world. As it happens, it is indeed the lowest price. In essence, it’s a bargain-basement Prelude. Bass has good depth and power but is not very well defined. Upper mids and treble are a little grainy, nasal and closed in. It’s not a ‘bad’ cable but is a little coloured, bland and uninteresting. For £22 more for a 1m pair or £15.50 extra for a half metre pair, the Rhythm is in a totally different and superior league and is most definitely worth stretching your budget for. I am sure that if I hadn’t already heard the Rhythms I would have more in the way of enthusiasm for the Opus cables, but as things stand I can’t really recommend them. Pay just a bit more, it’s worth it! 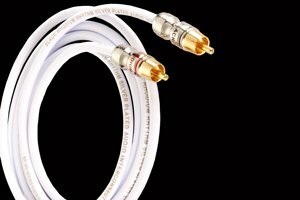 The Symphony and Symphony Chrome cables are very good, and justify their place at the top of the price tree in this review. Go for the Bullet-plugged Symphony if your main interest is acoustic (non-electronic) music, and the Symphony Chrome if electronic or amplified music is your thing. If you enjoy both types of music, then the Symphony would get my vote, but it is more expensive. 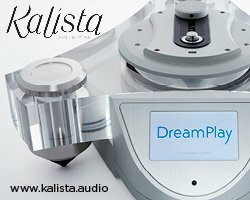 If you don’t want to spend that much, then the Rhythm is a seriously good cheaper alternative to the Symphony, and the Prelude may be a way to get Symphony Chrome-like sound for less money. I must admit, though, to being hugely impressed by the Rhythm – it’s a real stand-out for me in terms of value for money. Review system: MBL 116F speakers, Parasound Halo A21 power amp, XTC Pre-1 pre-amp, Resolution Audio CD50 CD player. Comparison cables: Slinkylinks, Van den Hul Thunderline, RFC Jupiter. 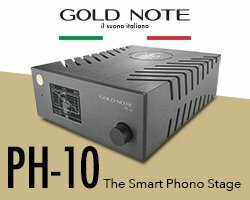 Want to read more hifi reviews? How can a set of cables be so expensive?